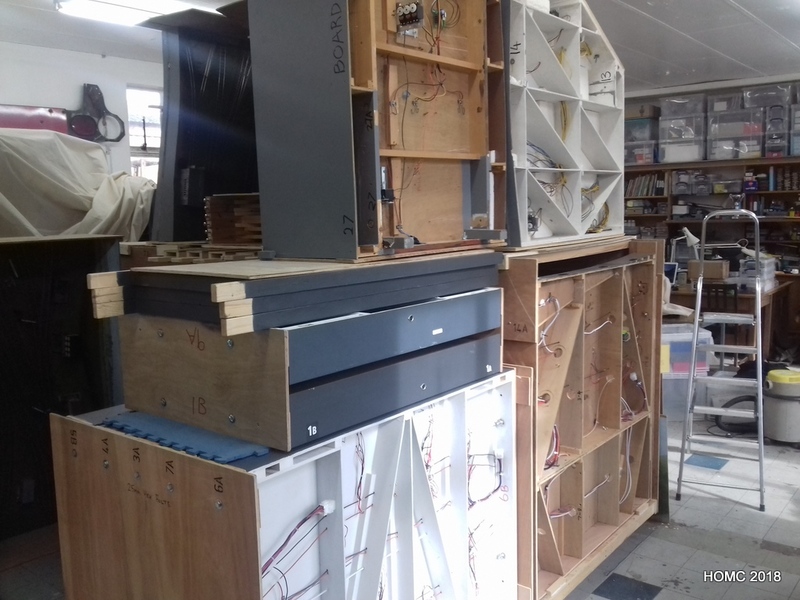 Mostyn is to be exhibited at Alexandra Palace (London) towards the end of March, so most work stopped on Mauch Chunk during the period leading up to this. 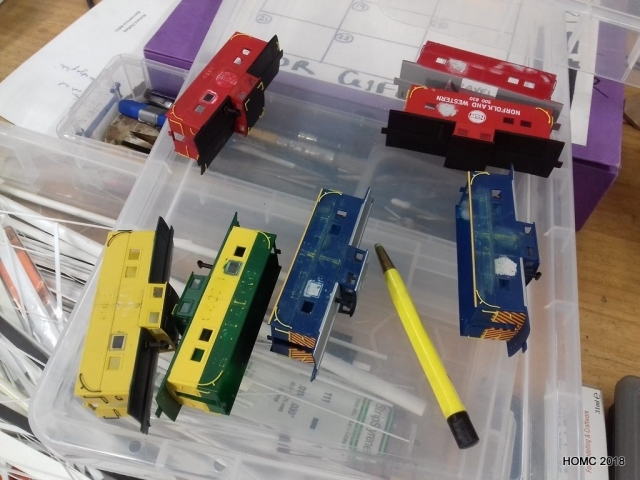 Some work has been going on: I have rewired the board connectors on the four ‘old’ large scenic boards using 12-way Mat-N-Lok connectors as with the rest of the layout. This brings all the wiringit to the same standard. Passenger and parcel stock has been re-Kadeed to allow for closer and more reliable level coupling. We have also started to add corridor connectors. Seven more cabooses are beeing worked on to have their eighth window removed and will then be repainted and decalled. 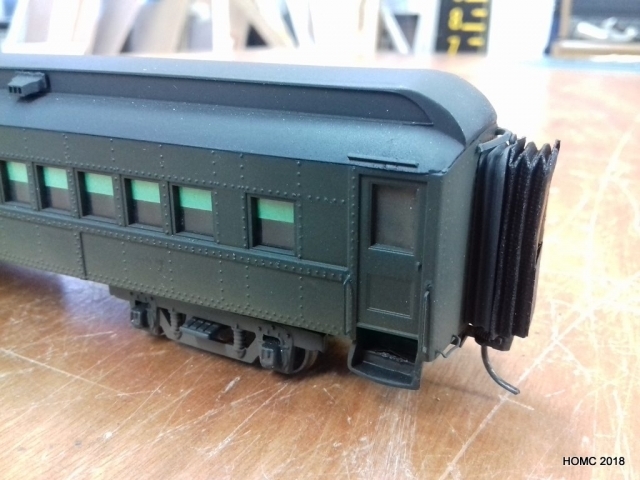 Finally the Mauch Chunk boards, on their trolleys, were stacked underneath the O-Gauge ‘Johnstown Road’ layout while Mosty was put up. 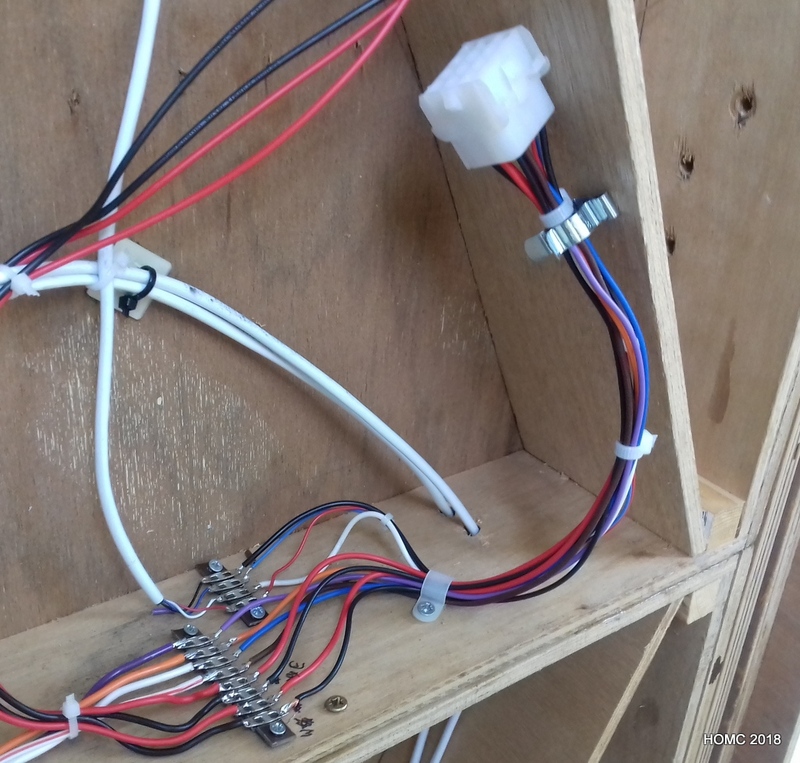 This entry was posted in 2018, Progress and tagged stock, wiring on March 23, 2018 by Steve Hales.